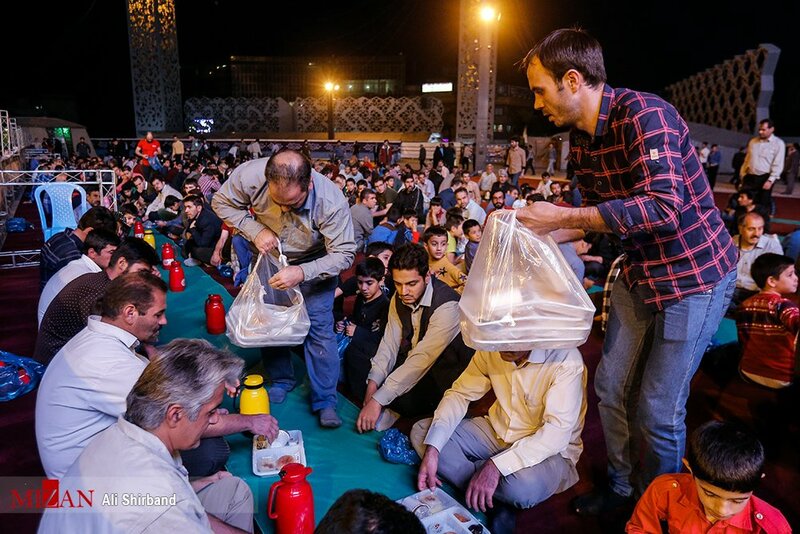 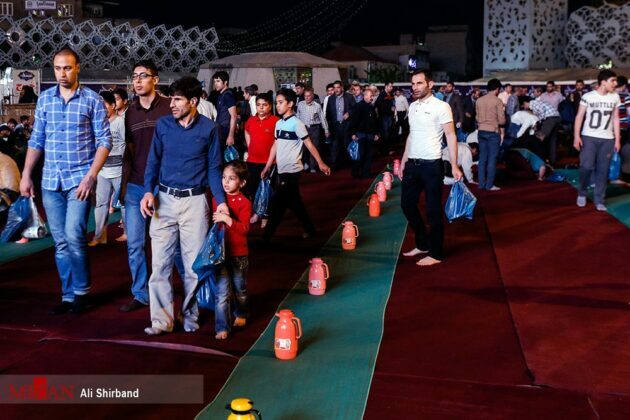 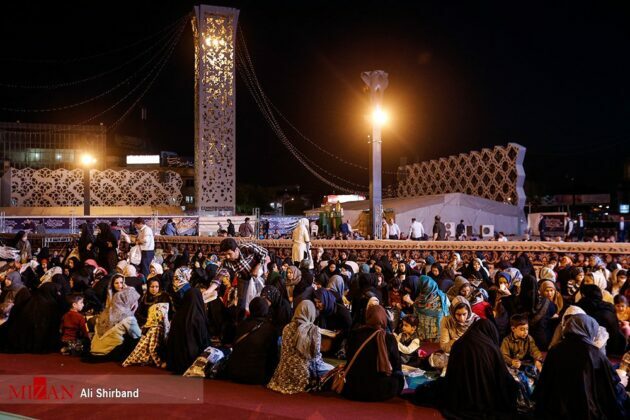 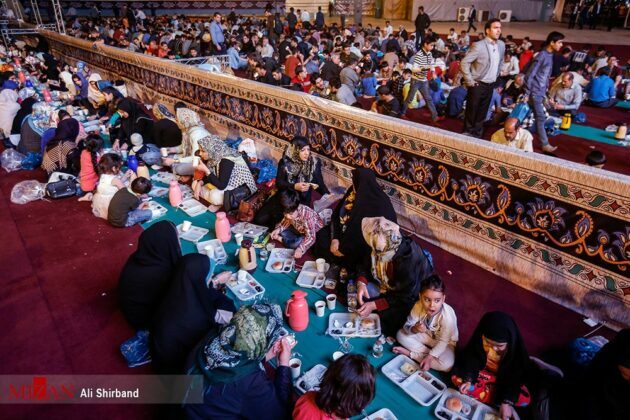 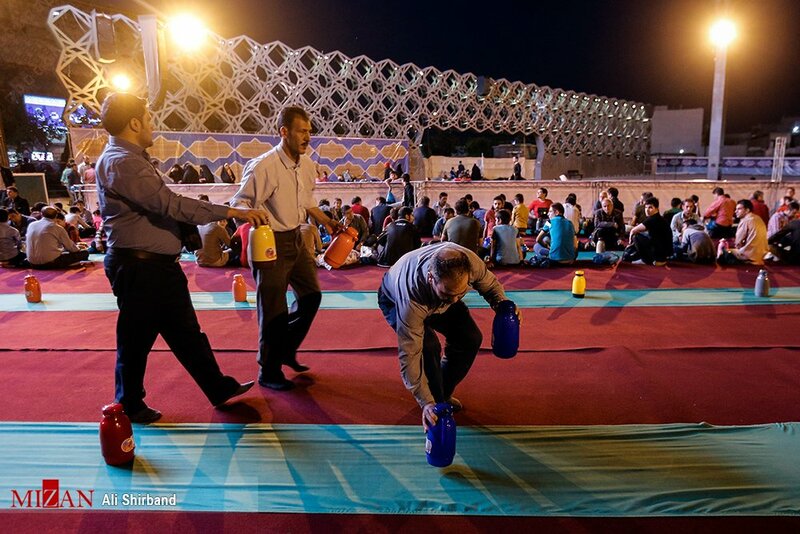 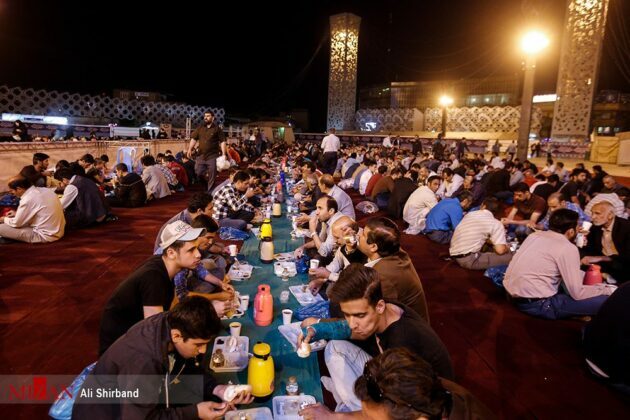 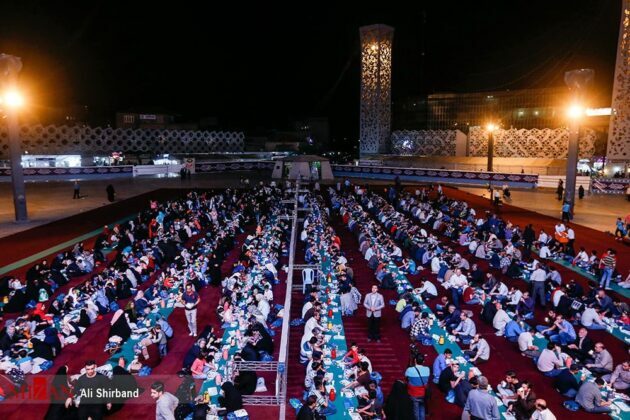 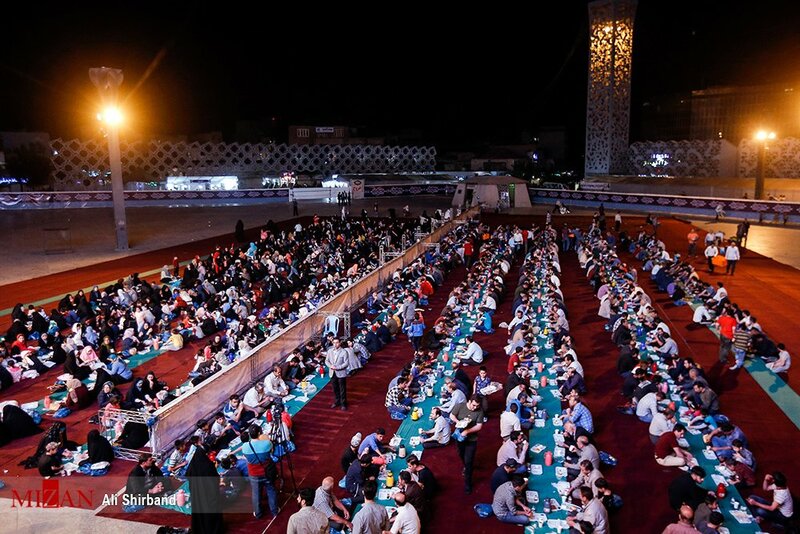 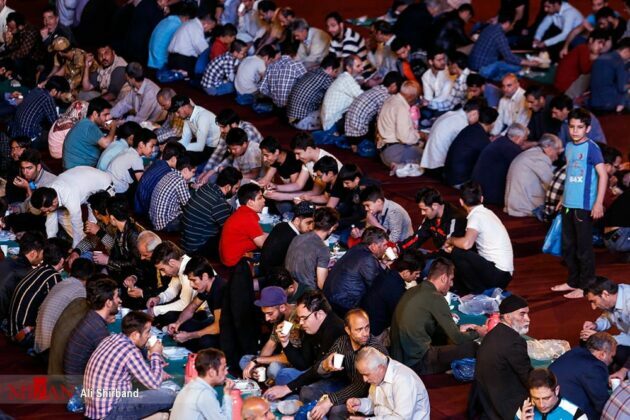 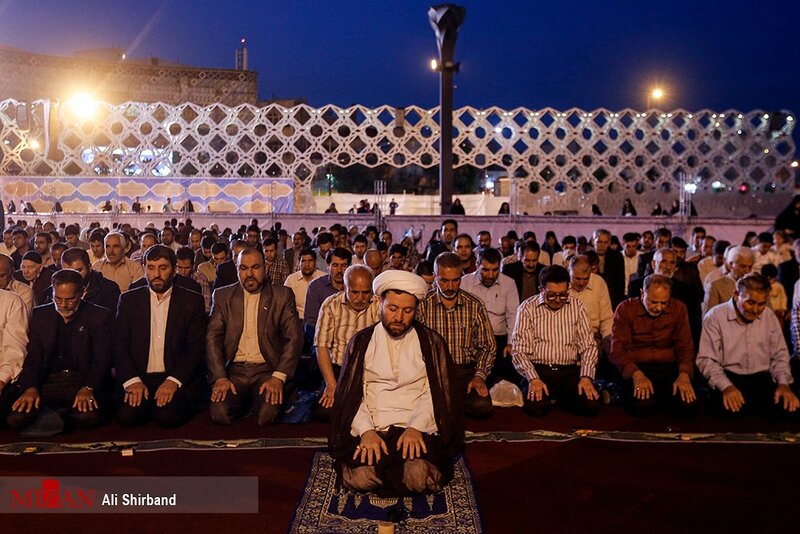 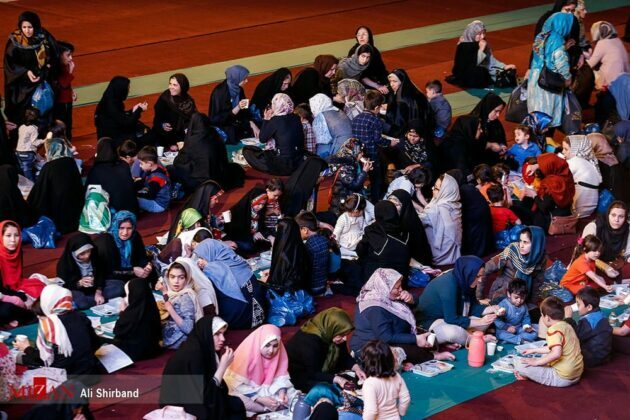 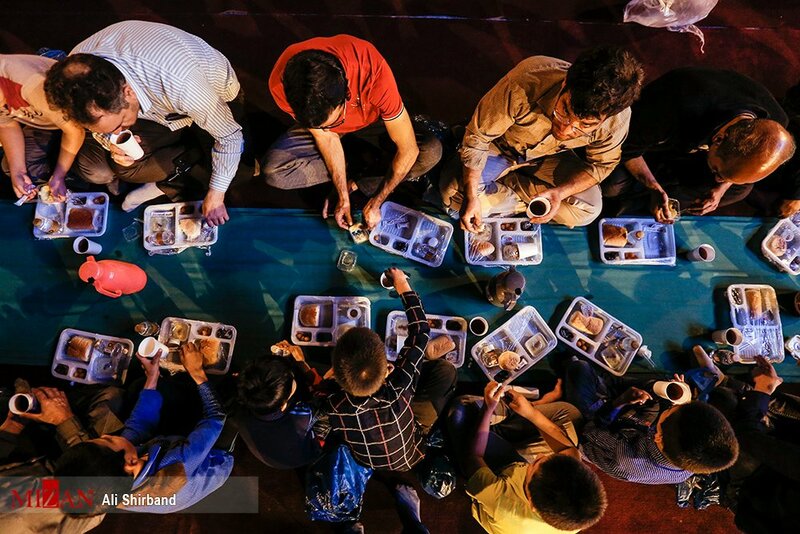 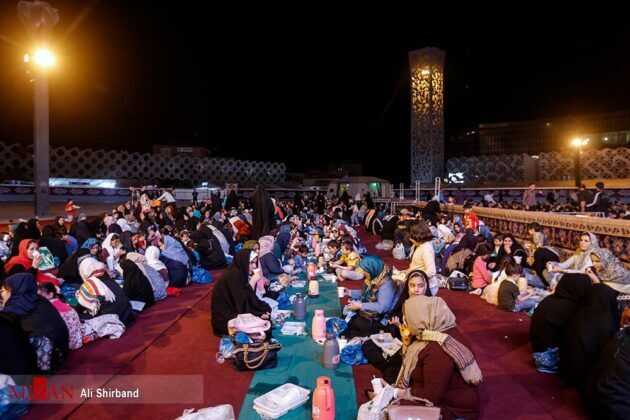 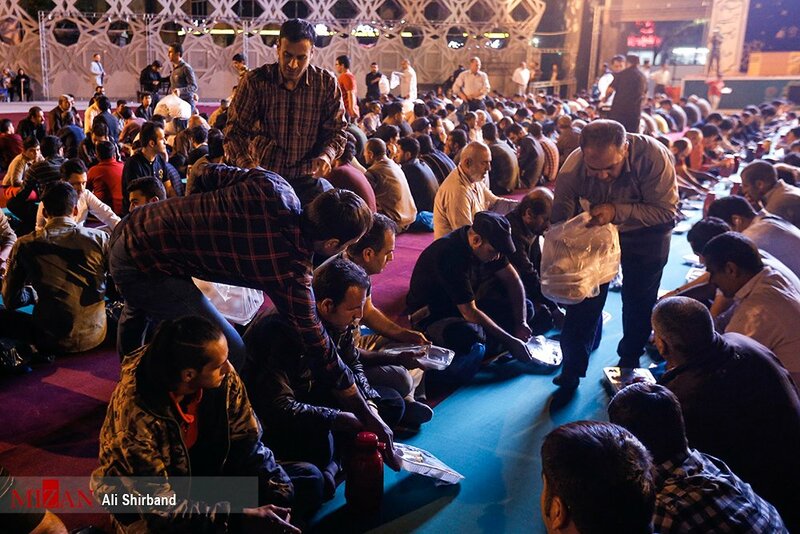 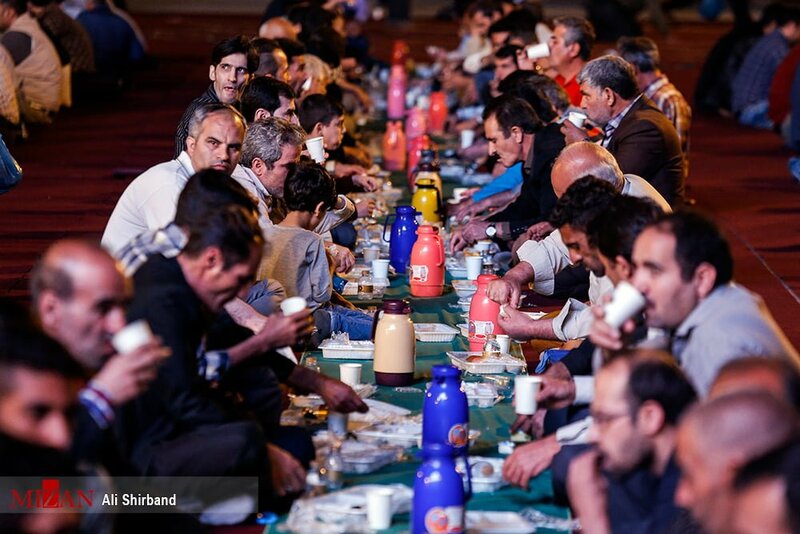 Citizens of Tehran can break their fast in Iftar ceremonies held every night during the holy month of Ramadan in Imam Hussein Square. The Iftar dinner is held after collective reciting of the Holy Quran and congressional prayers following sunset during the holy month. The meal includes a piece of bread, a cup of tea, a piece of cheese, a bowl of haleem, some dates and water. This is their second meal of the day; the daily fast during Ramadan begins immediately after the pre-dawn meal of Sahur (or Sahari in Persian) and continues during the daylight hours, ending with sunset with the evening meal of Iftar.